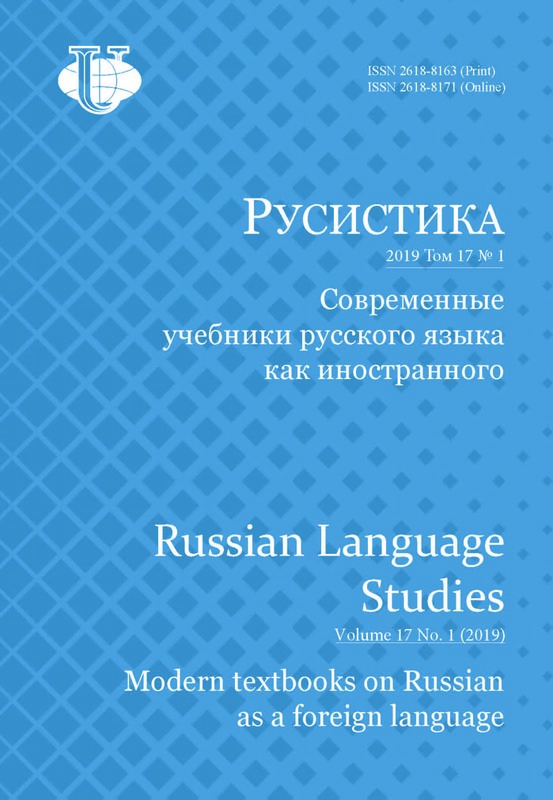 The article analyzes the national-cultural specificity and terminology of Russian philological disciplines as a kind of scientific doctrine in different fields of knowledge, which was formed on the basis of classical theoretical guidelines and modern studies of Russian philological scientists. 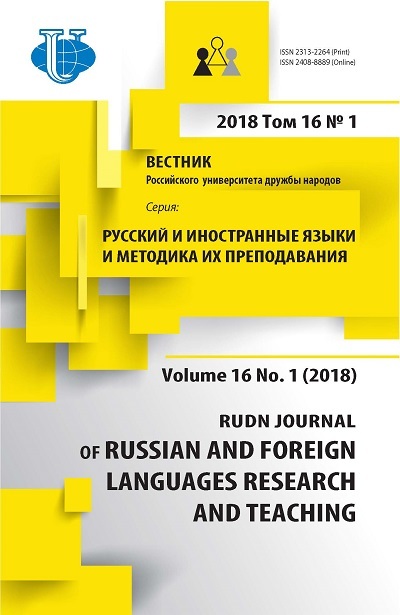 Russian philology goes back to ancient theories of language and speech, but the development of specific disciplines (grammar, rhetoric, logic, poetics) took on a peculiar cultural appearance in the creativity of specific authors and this appearance was significantly different from Western guidelines. The attitude to the authoritative Western leadership could be threefold: copying and comprehension, translation and processing and own additions, independent creativity in the creation of own terminology and new theories of language.Four basic terms are considered, corresponding to the four scientific theories, which are most relevant to the language practice and communication of modern society. This - actually philology, “slovesnost” (literature), rhetoric, the culture of speech. It was in the Russian scientific tradition that an understanding of general philology as a science studying the rules and laws of creation, transmission, storage, reproduction and functioning of verbal products was formed. Philology links the development of the culture of mankind both with the technology of creating speech, and with the improvement of the semantic content of the text.Russian scientific culture belongs to the creation of the term “slovesnost” (“literature”), originally understood as a gift of speech, verbal ability, but formed into a fundamental theory that studies the totality of all verbal products of the national speech culture. “Slovesnost” was also understood as the science of word in the broadest sense, and as verbal creativity, the art of speech.The article summarizes information about the national specifics of Russian rhetoric, which, of course, goes back to ancient theories, but it took shape in an original scientific concept that presupposes the following meanings: rhetoric - 1) the fundamental science of laws and rules for constructing thought and speech; 2) the doctrine of expedient and effective, convincing and appropriate speech; 3) the art of speech (eloquence), based on talent, the development of speech abilities of a person’s linguistic personality.In the Russian philological science of the twentieth century such an original direction took shape, as the culture of speech, originally understood as the teaching of the literary norm. The modern language situation requires a broader interpretation as the term culture (preservation and creative innovation in speech activity), and the term speech, which requires both a culture of thought, and the culture of the word, and the culture of the sentence, the phrase, the text as a whole, and the pronunciation culture. The author of the article confirms the uniqueness of the Russian national scientific tradition and this is the best evidence of the national contribution to the development of world scientific thought. Prospects for the study are a comparison of the existing Russian national concept of philology with foreign traditions and the current state of scientific thought both in the West and in the East, whereone develops his own vision and interpretation of the issues examined. philology, text, culture, “slovesnost”, language, speech, word, language of education, literature, rhetoric, speech culture, communication, word work, word philosophy. Doctor of Philology, Full Professor of Russian Literature and Intercultural communication of Philological Faculty in Federal State Budget Educational Institution of Higher Education the “Pushkin State Russian Language Institute” (Russia). Research interests: philology, rhetoric, stylistics, culture of speech, the history of Russian philology and rhetoric, teaching Russian as a foreign language, textology. Author of more than 300 scientific publications. Averintsev S.S. (2006). Filologiya. Slovo-Logos. Slovar’: Sobranie sochinenii [Philology. Word-Logos. Vocabulary: Collected Works]. Kiev. (In Russ). Annushkin V.I. (2013). Istoriya slova «slovesnost’» v russkom yazyke. Yazyk kak material slovesnosti. Sbornik nauchnykh statei k 90-letiyu professora A.I. Gorshkova. [The history of the word “literature” in Russian. Language as a material of literature. Collection of scientific articles for the 90th anniversary of Professor A.I. Gorshkov]. Moscow: Literaturnyi institut im. A.M. Gor’kogo Publ. (In Russ). Annushkin V.I. (2014). O tvorcheskom osvoenii M.V. Lomonosovym ritorik petrovskogo vremeni. «Znatnym ukrasheniem Otechestvu posluzhivshii…» [On the creative development of M.V. Lomonosov’s rhetoric of Peter’s time. “He served as a decoration for the Fatherland...”]. M.V. Lomonosov creativity and Russia’s culture of modern times: a collection. Moscow: Sibirskaya Blagozvonnitsa Publ. (In Russ). Annushkin V.I. (1999). Pervaya russkaya «Ritorika» XVII veka. Tekst. Perevod. Issledovanie. [The first Russian “Rhetoric” of the XVII century. Text. Translation. Study]. Moscow: Dobrosvet Publ. (In Russ). Gorshkov A.I. (1994). Osnovy russkoi slovesnosti (Ot slova k slovesnosti). [Fundamentals of Russian Literature (From word to word)]. Moscow. (In Russ). Davydov I.I. (1837—1843). Chteniya o slovesnosti. Moscow. Kursy 1—4. Kurs 1. Vvedenie. Yazyk. Rech’. Slog. Moscow, 1837. 259 p.; Kurs 2. Oratorskaya rech’ ili vitiistvo. Filosofskie sochineniya. Istoricheskie sochineniya. Moscow, 1838. 327 p.; Kurs 3. Poeziya liricheskaya. Poeziya Epicheskaya. Moscow, 1839. 352 p.; Kurs 4. Poeziya dramaticheskaya. [Courses 1—4. Course 1. Introduction. Language. Speech. Syllable. Moscow, 1837; Course 2. Oratory or speech. Philosophical writings. Historical works. Moscow, 1838; Course 3. Poetry is lyrical. Poetry Epic. Moscow, 1839; Course4. Poetry is dramatic. Moscow, 1843]. Moscow. (In Russ). Zelenetskii K.P. (1848). Kurs russkoi slovesnosti dlya uchashchikhsya. I. Obshchaya ritorika. II. Chastnaya ritorika. III. Piitika. [The course of Russian literature for students. I. General rhetoric. II. Private rhetoric. III. Piitika]. The history of Russian literature for students. Odessa. (In Russ). Koshanskii N.F. (2015). O preimushchestvakh rossiiskogo slova. Rech’ professora rossiiskoi i latinskoi slovesnosti N.F. Koshanskogo 19 oktyabrya 1811 goda. Uchebnoe posobie. [On the advantages of the Russian word. Speech by professor of Russian and Latin literature N.F. Koshanskogo October 19, 1811. Textbook]. Moscow: Forum Publ. (In Russ). Koshanskii N.F. (2013). Ritorika. [Rhetoric]. Moscow: Russkaya panorama Publ. (In Russ). Kul’tura russkoi rechi: entsiklopedicheskii slovar’-spravochnik. [Culture of Russian speech: encyclopedic dictionary-reference]. Academy of Sciences of the USSR V.V. Vinogradova. Moscow: Flinta; Nauka Publ. (In Russ). Likhachev D.S. (1989). Ob iskusstve slova i filologii. O filologii. [On the Art of Words and Philology. About Philology]. Moscow. (In Russ). Lomonosov M.V. (1952). Kratkoe rukovodstvo k krasnorechiyu. PSS. [A short guide to eloquence. PSS]. Moscow; Leningrad. (In Russ). Lomonosov M.V. (1985). Sochineniya M.V. Lomonosova s ob’yasnitel’nymi primechaniyami akademika M.I. Sukhomlinova. [Compositions M.V. Lomonosov with explanatory notes of Academician M.I. Sukhomlinov]. T. III. Saint Petersburg: Imp. akademii nauk Publ. (In Russ). Merzlyakov A.F. Kratkaya ritorika, ili pravila, otnosyashchiesya ko vsem rodam sochinenii prozaicheskikh. V pol’zu blagorodnykh vospitannikov Universitetskogo pansiona. Moscow, 1809. 2; second edition. Moscow, 1817. 4; third edition. Moscow, 1817; fourth edition. Moscow, 1828. Rozhdestvenskii Yu.V. (1996). Obshchaya filologiya. [General Philology]. Moscow: Fond «Novoe tysyacheletie» Publ. (In Russ). Rozhdestvenskii Yu.V. (2003). Printsipy sovremennoi ritoriki. [Principles of modern rhetoric]. Moscow: Flinta; Nauka Publ. (In Russ). Stepanov Yu.S. (1997). Filologiya. Russkii yazyk: Entsiklopediya. [Philology. Russian: Encyclopedia]. Moscow. (In Russ). Teoriya slovesnosti. Kurs gimnazicheskii (izdanie anonimnoe). (1851—1860). Saint Petersburg. Shanskii N.M. (1990). Lingvisticheskii analiz khudozhestvennogo teksta. [Linguistic analysis of literary text]. Moscow. (In Russ). Copyright (c) 2018 Annushkin V.I.